Singapore welcomed a record 16.4 million international visitors last year, registering an increase of 7.7 per cent over the same period in 2015. In addition, tourism receipts reached a high of S$24.8 billion ($17.7 billion) in 2016, reflecting a growth of 13.9 per cent over the same period in 2015. The strong tourism receipt came on the back of visitors spending more on food and beverage, shopping and accommodation. Saudi Arabia dropped by 9.8 per cent, on the back of tightening of leisure visas for Saudi Arabian nationals. “The rest of the GCC is showing a modest growth of 1 to 4 per cent. Iran has been a surprising success. Iranian arrivals to Singapore grew by 84.6 per cent to reach a high of 22,641 in 2016, as compared to 2015. “The increased capacity to Malaysia has benefited Singapore as most of the arrivals to Singapore by Iranian are by land. There is no direct connectivity to Singapore with Iran at the moment. The biggest news on the tourism front is the Mandai redevelopment project, which will see the area expand beyond its existing offerings to be home to two new wildlife parks, an indoor nature-themed education centre, eco-sensitive accommodation options and inviting public spaces. Singapore Zoo, Night Safari and River Safari will be joined by the new Bird Park and the Rainforest Park, creating an integrated nature and wildlife experience for all visitors to Mandai. Some of the best-loved features in Jurong Bird Park will be reimagined in the new park. 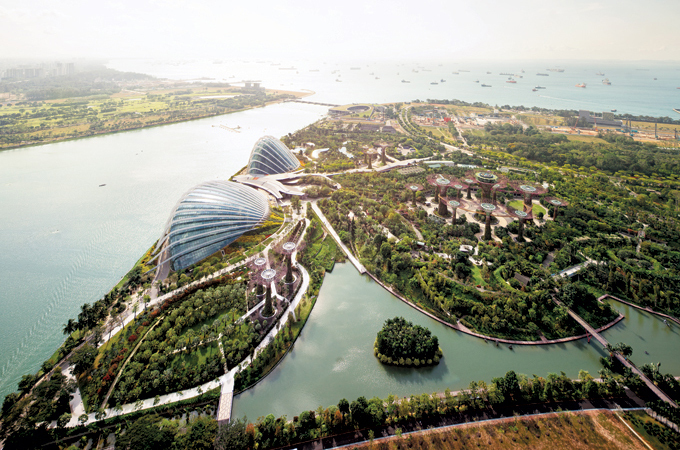 These include a new waterfall, a grand entrance to the park framed by colourful flowering plants and a custom-designed amphitheatre to feature bird performances. The new developments at Mandai will be completed in phases from 2020 onwards. Construction of Changi Airport’s terminal 4 has been completed, with an opening slated for second half of this year. In addition to the two-storey passenger terminal, the construction involved the development of two carparks providing 1,700 parking spaces, a two-storey taxi holding area, as well as three vehicular and pedestrian bridges spanning across Airport Boulevard to create new channels of access to T4. Jewel Changi – a joint venture between Changi Airport Group and CapitaLand Mall Asia – is a mixed-use complex featuring a wide range of lifestyle offerings, on track for opening in 2019. It includes a five-storey indoor garden, unique play attractions, comprehensive shopping and dining options, a hotel, and facilities for airport operations.The Jewel will have a Forest Valley, a huge five-storey garden and the 40-m high Rain Vortex, the world’s tallest indoor waterfall.